Apache Hadoop 2.0 is part of Apache Software Foundation(ASF). This article provides step by step setup for a single node Apache Hadoop 2.0 cluster on an Ubuntu Virtual Machine(VM). 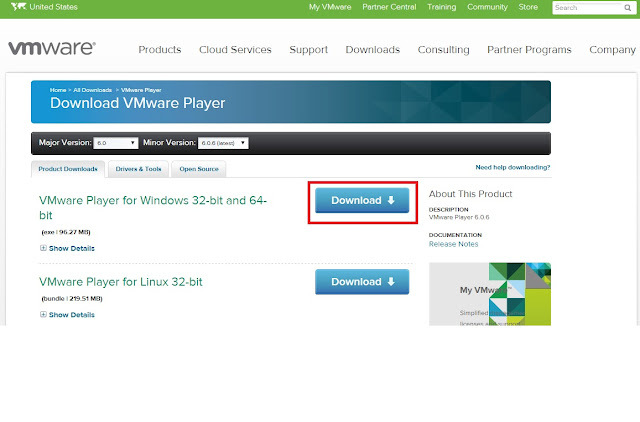 Download the VMware player from the below link and install it. 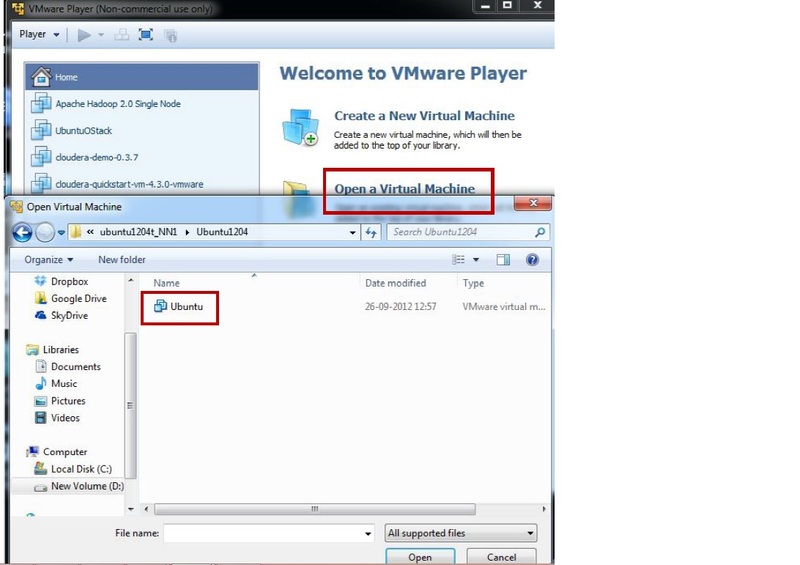 Extract the Ubuntu VM Image and open it in VMware Player. Click open virtual machine and select path where we have extracted the image. Select the ".vmx" file and click "ok". We can see the below screen in VMware Player after the VM image creation completes. Double click on the link to run the machine. We will get the home screen of Ubuntu. The first task is to run "apt-get update" to download the package lists from the repositories and "update" them to get information on the newest versions of packages and their dependencies. Then use apt-get to install JDK 6 on the server. Download the binaries to your home directory. Use the default user "user" for the installation. 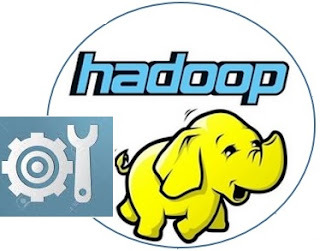 In Live production instances a dedicated Hadoop user account for running Hadoop is used. It is recommended because this helps to separate the Hadoop installation from other software applications and user accounts running on the same machine (separating for security,permissions, backups, etc.). Unzip the files and review the package content and configuration files. Move to ‘user’ $HOME directory and edit ‘.bashrc’ file. 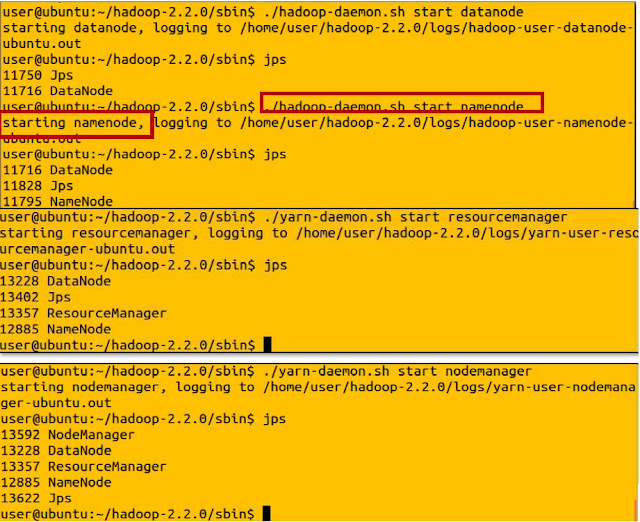 Update the ‘.bashrc’ file to add important Apache Hadoop environment variables for user. Edit the .bashrc file as below based on our installed directory for Hadoop and Java. Configure JAVA_HOME in ‘hadoop-env.sh’. This file specifies environment variables that affect the JDK used by Apache Hadoop 2.0 daemons started by the Hadoop start-up scripts. Create DataNode and NameNode directories to store HDFS data. 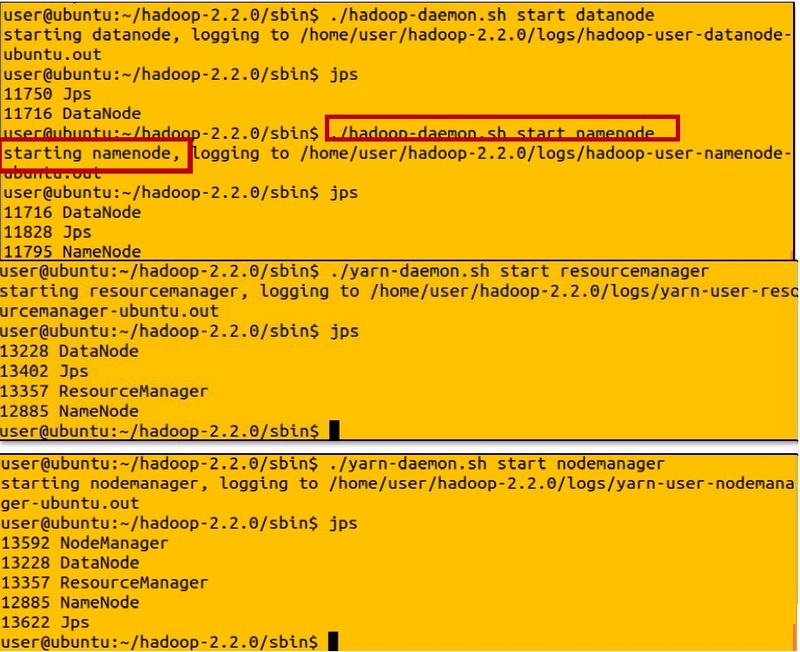 The "core-site.xml" file contains the configuration settings for Apache Hadoop Core such as I/O settings that are common to HDFS, YARN and MapReduce. Configure default files-system (Parameter: fs.default.name) used by clients in core-site.xml. Here the Hostname and Port are the machine and port on which Name Node daemon runs and listens. It also informs the Name Node as to which IP and port it should bind. The commonly used port is 9000 and you can also specify IP address rather than host name. if replication is not specified in create time. This file contains the configuration settings for YARN: the NodeManager. This file contains the configuration settings for MapReduce. We need to copy the mapred-site.xml template. The first step in starting up our Hadoop installation is formatting the Hadoop file-system, which is implemented on top of the local file-systems of our cluster. This is required on the first time Hadoop installation.Do not format a running Hadoop file-system, this will cause all your data to be erased. Now we need to start the HDFS services one by one. Finally start the JobHistory server. Now lets verify the status of Hadoop cluster on below mentioned URLs.